This is the author’s preliminary draft of the second of three monographs focused on the future of the US Army as an expeditionary force in a complex world that is rapidly decentralizing while also facing major development challenges. This second monograph (the first presented a notional Grand Strategy for discussion) presents the holistic analytic model and the resulting strategic generalizations from the Marine Corps’ original study,Overview of Planning and Programming Factors for Expeditionary Operations in the Third World (Marine Corps Combat Development Command, March 1990). The model is neither complete nor current – it is a starting point for reflection. A new comprehensive model is needed that supports Grand Strategy not only across the D3 – Defense, Diplomacy, and Development – planning and programming domains, but across Whole of Government (WoG) as well, and ideally, also into the multinational and “eight tribe” conceptual space as well – future operations demand the full integration of both estimative intelligence and operational inclusion of all elements of society, not just government – military. This is the second of three monographs focused on the future of the US Army as an expeditionary force in a complex world that is rapidly decentralizing while also facing major development challenges. This second monograph (the first presented a notional Grand Strategy for discussion) presents the holistic analytic model and the resulting strategic generalizations from the Marine Corps’ original study, Overview of Planning and Programming Factors for Expeditionary Operations in the Third World (Marine Corps Combat Development Command, March 1990). The model is neither complete nor current – it is a starting point for reflection. A new comprehensive model is needed that supports Grand Strategy not only across the D3 – Defense, Diplomacy, and Development – planning and programming domains, but across Whole of Government (WoG) as well, and ideally, also into the multinational and “eight tribe” conceptual space as well – future operations demand the full integration of both estimative intelligence and operational inclusion of all elements of society, not just government – military. The author was the primary architect of the original study, and the Study Director. The study was the first and most substantial product from the Marine Corps Intelligence Activity (MCIA) of which the author served as founding Special Assistant (civilian) and also Deputy Director (uniformed). It responded to General Al Gray, then Commandant of the Marine Corps, who created MCIA because he felt that he could not relay on the other services with their larger budgets and a lack of focus on the Third World, to design military systems appropriate to the Marine Corps: lightweight and suitable for amphibious transport including landing craft; affordable for a very lean force; and sustainable in the field with minimalist contractor dependency. In other words, it is the only existing analytic model for thinking about expeditionary force structure planning and programming. If the US Army desires to be an expeditionary force with global reach, this model is a starting point. It addresses not only military threat factors, but also civil factors and ground truth factors – the latter are deeply relevant to what we build at what weight. The government should hold multiple rounds of talks, engage with experts on the possible solutions already laid out and be ready to work with Pakistan. Most commentators have dismissed the all-party delegation’s recent visit to Jammu and Kashmir as a damp squib. There is no doubt that it achieved less than hoped for. But given the agonisingly prolonged suffering caused by the current unrest and the terribly polarised climate in which it is taking place, even the modest beginning made by the delegation is something. There is no certainty as yet that the government will follow up on the suggestions. BJP spokespersons are vociferous that talks can only be held “in the ambit of the constitution,” while all groups of dissidents say they will not talk within such an ambit. In both cases the condition is meaningless, as Bhat also points out, since the ambit of the constitution is far wider than most appreciate and no government can make a lasting agreement that is not subsequently enshrined in the constitution, if necessary through an amendment (of which we have over 100 already). India and Pakistan were locked in combat in Kashmir at the time, and many Indians avoided the writer like the plague. In 1965, a year after I had appeared for my finals for my Master’s in English literature, I thought it would be a good opportunity to revisit Bombay. I had already gone there the previous year and had met and interviewed quite a few Bollywood luminaries. A couple of years earlier, I had become the editor of Eastern Film, Pakistan’s largest selling English monthly, and wanted to continue my interaction with celebrities. It was in the third week of August 1965 that I boarded the steamer Sabarmati – coincidentally the same ship that had brought my family and me to Karachi way back in 1950 when we migrated to Pakistan. The vessel dropped anchor at Bombay’s Princess Docks. Sitting in the row ahead of me was Dilip Kumar himself, who was discussing with composer Naushad the background music, which was yet to be recorded. AR Kardar’s name was to appear as the producer and director of the movie, but in actual fact it was Dilip Kumar who was calling the shots. WASHINGTON (AP) — U.S special operations forces launched a rescue mission to retrieve two men kidnapped by insurgents in Afghanistan last month, but the hostages were not there when the rescue team arrived, U.S. defense officials said Thursday. According to defense officials, the mission was delayed one day because of questions about the intelligence and whether the hostages, an American and an Australian who worked at the American University of Afghanistan, were there. Officials would not provide the precise timing or location of the rescue attempt because they said it could jeopardize any possible future operations. Because of questions about the intelligence — including the degree of confidence in the information that the men were at that location — administration officials did not forward the mission request to President Barack Obama until the next day, officials said. Obama approved the mission, and commandos went out that next night. The officials said that when U.S. commandos arrived at the location, they killed seven enemy fighters. They said that based on interviews with people at the site, it’s still not clear if the hostages were ever there. A war of authority between the civil and military authorities of Pakistan over the selection of a new army chief is likely to take place as Raheel Sharif, the incumbent chief of the Pakistan army, is set to retire in coming November. Already the army has forced Nawaz Sharif, the Prime Minister of Pakistan, to appoint retired Lieutenant General Zamirul Hassan Shah as the new defence secretary, although the civilian government had at first rejected Zamirul Hassan’s name and called for a change in army’s recommendation. But, the army refused to budge. Speculation is rife in concerned circles that the ongoing tension in Indo-Pak relations may influence the ultimate selection of the next Pakistan army chief and that a hawk may occupy the position. That the army had felt comfortable enough to send the name of a retired Lieutenant General for the post of the defence secretary is a clear indication that Nawaz Sharif has lost much of his political as well as governmental authority. But Sharif, the wily politician, must have had enough of the army’s shenanigans and it is equally probable that he might choose the next army chief depending on the latter’s attitude to the civilian government. There are four senior Lieutenant Generals in line from whom Nawaz Sharif is expected to pick up his next army chief. The senior most among them is Zubair Hayat, the present Chief of General Staff (CGS). Hayat is a voracious reader and is known to be an ‘intellectual’ in the armed forces. In the race for the army top slot, Hayat is now in an advantageous position because his previous stint as the Director General of the Strategic Plans Division (SPD), which looks after the country’s nuclear command and strategic assets, had given him an opportunity to work directly and in a close manner with Nawaz Sharif. Over 250,000 civilians have been displaced by the fighting so far in 2016. That number may more than triple by the end of the year. Over three million people are cut off from regular food supplies by the fighting to the extent that there is visible malnutrition, especially among children. This is also part of the Taliban plan to defeat the government. Despite continued aid from drug gangs and Pakistan most Afghans are not willing to surrender. One side effect of this is it shows how decades of Pakistani efforts to gain a degree of control over Afghanistan have backfired, especially inside Afghanistan. There the primary Pakistani allies are drug gangs, corrupt politicians and Islamic terrorists. Not surprisingly these three groups are the most hated inside Afghanistan and despite death threats and bribes the Afghan media and a growing number of usually quiet (out of fear) politicians, prominent preachers and tribal leaders are speaking out. This was mostly out of self-interest as most of Afghanistan’s worst problems could be traced back to Pakistan. The biggest problem is illegal drugs, mainly opium and heroin. Pakistan drove the drug gangs out of its own tribal territories in the 1980s but the drug business simply moved to Afghanistan and both countries now suffer from widespread addiction and the growing financial and political (via bribes) power of gangsters thriving on drug profits. Afghanistan is the largest producer of heroin in the world and drugs are a major part of the economy, especially in the south (Kandahar and Helmand provinces). This is where most of the Taliban leadership and manpower came (and still come) from. Pakistan admits they created the Taliban, but only to stop the 1990s civil war in Afghanistan. That wasn’t true. Pakistan expected the Taliban to ensure that whatever government was running Afghanistan, Pakistani needs would be tended to. That meant tolerance for the drug trade (which made many Pakistanis rich), no contacts with India and no criticism of the Pakistani military or its intelligence branch (the ISI). But the Taliban and the drug gangs have been tearing Afghanistan apart ever since. Only about ten percent of Afghans got any economic benefit out of the drug business and millions of Afghans, Pakistanis and people throughout the region have become drug addicts. Europe and India are two pluralistic communities that share much in common – from traditions to histories and cultures, plurality and diversity, commitment to democracy and human rights, independent judiciary and free press, and the strategic role that both are required to play in today’s rapidly changing world. Both have emerged from the debris of the past while dealing with the age old boundary conflicts and border issues. India’s interactions with Europe during the Cold War mainly revolved around the bipolar nature of the global order. India’s attempt to minimize the adverse effects for the country of the highly polarized Cold War environment led to its non-aligned position, which allowed it to pursue productive relations with both east and west and served it well during most of the decades involved. The end of the cold brought many changes for both Europe and India. On the one hand, the emergence of European Union after years of conflicts and uncertainties has been the most remarkable development of the 20th century, and on the other, the liberalization of Indian economy paved the way for the European companies to make large investments in India, which has been reciprocated by the Indian companies substantial investments in Europe in the recent years. The Indo-European relationship has, since its inception, been dominated by trade. However, while historically the trade relationship tended to be ‘eurocentric’, the current trend is towards a much more equal dynamic. India is an important trade partner for the European Union (EU) and an emerging global economic power. The value of EU-India trade grew from € 28.6 billion in 2003 to € 72.5 billion in 2014. EU investment stock in India is € 34.7 billion in 2013. Trade in commercial services quadrupled in the past decade, increasing from € 5.2billion in 2002 to € 23.7 billion in 2013. However, trade figures show that India’s economic interaction with European countries is very much focused on specific players within the EU, with the vast majority of India’s trade focused on only a handful of states. Fifteen to twenty million wells extract water from the Indo-Gangetic basin every year. Sixty per cent of the groundwater in a river basin supporting more than 750 million people in Pakistan, India, Nepal and Bangladesh is not drinkable or usable for irrigation, researchers have said. Who Wins in a US-China Space War? The U.S. fears a "space Pearl Harbor," but it may be China that has more to lose. 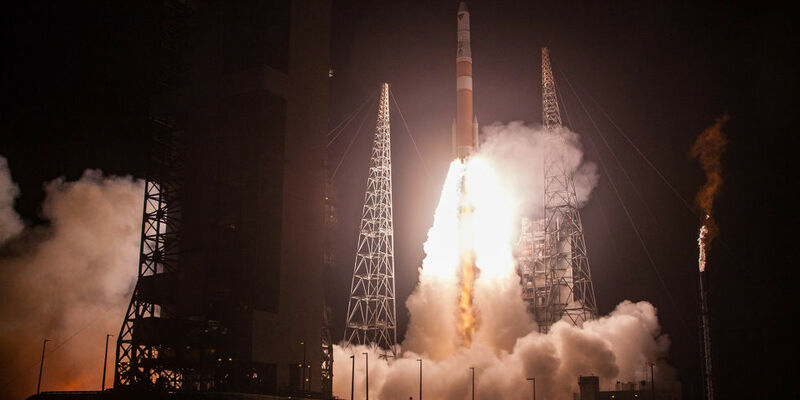 From spy satellites to GPS navigation to communications, the U.S. has turned its advantage in space technology into war-winning capabilities. 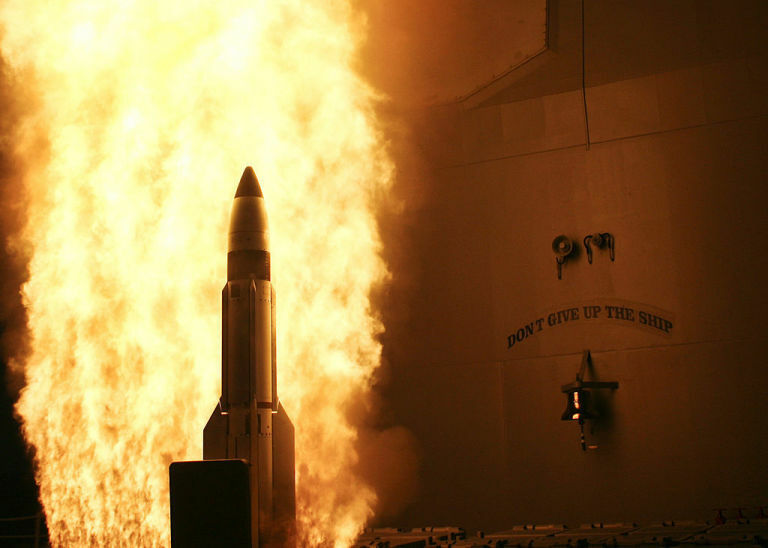 But that capability is also a dependency.The modern American way of war needs space to prevail on the battlefield—to keep track of adversaries, route communications traffic, and guide bombs to their destinations. The problem with space is that it's above, well—everybody—and satellites sitting in orbit are sitting ducks. An adversary such as China that wanted to even the playing field could start downing American satellites with so-called anti-satellite weapons. A hypothetical surprise attack that cripples American space assets has been called a "Space Pearl Harbor," and would be a serious blow to the Pentagon's warmaking capability. But in a new article, the Union of Concerned Scientists argues that China actually has more to lose in a space war than the United States. A missile interceptor rises from the guided missile cruiser USS Lake Erie, on its way to intercept the satellite USA-193. A war between the two countries would largely take place in the vastness of the Western Pacific. China will need its earth observation satellites, including spy satellites and ocean surveillance satellites, to locate and destroy a highly mobile U.S. 7th Fleet. With the US piling up its warships with fighter planes and stationing troops in South China Sea, where China has hectically been active since long past, the likely scenario bodes bad omen with all chances of a major regional war breaking out between the two which may include regional navies like Japan, Australia and South Korea. Indeed, the mounting tensions in South China Sea are due to China’s own creation which cropped up there few years back – in 2011 – because Beijing advanced its sovereign claim over entire South China Sea as its maritime territory citing some historical evidences. But that claim was rejected by a five-member panel from the Permanent Court of Arbitration (PCA) in The Hague, Netherlands on July 12, 2016, while deciding on Philippines’ complaint lodged in 2013 for arbitration on grounds of alleged Chinese infringement into Manila’s Exclusive Economic Zone (EEZ), under clauses of violation of the United Nations Treaty governing “Laws of the Sea” (UNCLOS) to which China is also a signatory. Unfortunately, this legal defeat has made Beijing more aggressive and irresponsible in its behaviour as it has resumed threatening all the littoral states of Asia-Pacific including India, thereby endangering the already tense scenario in this region. In the recent past, while pursuing its ill-founded claim, China not only raised its naval presence with increasing number of naval warships, submarines and aerial support and monitoring and performing regular naval exercises with bold display of its awesome military power but also creating artificial reefs in the ocean with a view to reclaim land amidst sea for stationing troops, armaments and other logistical purposes. Obviously, this highhandedness was bound to ignite intense reactions not only among littoral powers in the Asia-Pacific – now rechristened Indo-Pacific – like Southeast Asian countries including India but also the distant regional naval powers including Japan, Australia and the US. September 11, 2016, marks the fifteenth anniversary of a calamity that shook America to its core. I remember vividly to this day being riveted by the constant video replays of the two Boeing 767s plowing into the World Trade Center, people leaping from office windows to their deaths, the collapses of the twin towers, and the dazed look of survivors on the streets of Manhattan. I have since read many stories of heroism on that day—the bravery of the first responders and of ordinary citizens in the twin towers themselves, of passengers on United Flight 93 in the skies over Pennsylvania, and of people navigating the wreckage at the Pentagon—and I’ve wondered whether or not I could have mustered such courage. 9/11 launched a perpetual “war on terror” overseas, but it also triggered attacks on civil liberties here at home. Infringements of the privacy rights of ordinary Americans are particularly noteworthy. Jobs will always be attached to Apple, a company whose products we adore. For Jobs, though, great products were not born from regulated, industry driven processes, but from the content of the product. Jobs was deeply concerned with a product’s ability to revolutionize society or change a way of life and not necessarily with the process to create it. In a 1996 interview he stated, “That’s what makes great products—it’s not process it’s content.”2 Fortunately, Steve Jobs did not write leader development doctrine for the Army. The Army appreciates the resultant product of leader development, but it also values the process involved to create the product. While many of the Army’s great leaders have blossomed on the battlefield without systematic development, there are doctrinal references that define leader development processes to enable holistic growth. This article argues that failure to follow a process in the operational domain leads to failures in leader development. 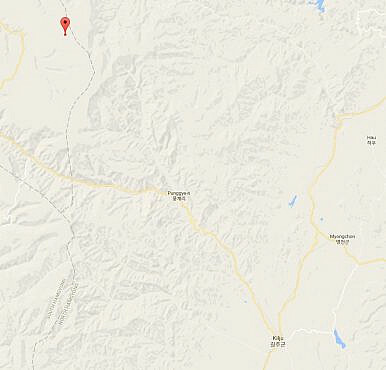 At 9:30 a.m. on Friday, a 5.3 magnitude seismic event was detected northwest of North Korea’s Punggye-ri nuclear testing site, suggesting that the country has carried out its fifth nuclear test. The United States Geological Survey reported the depth of the quake at 0 kilometers, strongly suggesting that Friday’s event was a nuclear test. North Korea claimed that its January test this year involved a thermonuclear device, a claim that most nuclear experts doubted that Pyongyang had developed a fully staged bomb (also known as a hydrogen bomb). The increased range estimate for this test suggests that even if Pyongyang hasn’t managed to fully stage a thermonuclear device, it is making progress with a boosted fission bomb. As the dust begins to settle in Uzbekistan following the death of President Islam Karimov, the question of succession appears to be coming into clearer focus. Already a front-runner to follow Karimov, Prime Minister Shavkat Mirziyoyev has begun cementing his path to the presidency, despite the current constitutional route plotted. A highly publicized visit from Russian President Vladimir Putin this week effectively affirmed Mirziyoyev’s standing that much more and allowed observers to begin charting the likely courses for Uzbekistan as it pushes into post-Karimov realities. One of the primary questions circling Mirziyoyev’s potential leadership centers on Uzbekistan’s role in the same regional groupings Karimov, especially over the past few years, went out of his way to avoid. 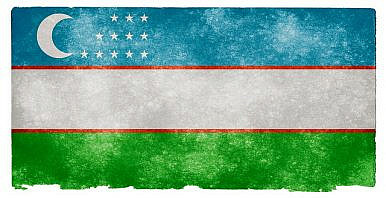 While Mirziyoyev, based on available evidence, may well keep with Karimov’s legacy on the human rights front, there’s an outside chance that his assumption of the presidency may bring new momentum for Tashkent to enter certain of the international organizations bordering Uzbekistan. At the moment, and for any number of reasons, there’d appear little chance Tashkent would consider joining the Collective Security Treaty Organization for a third time. However, there’s an outside chance Uzbekistan will revisit the topic of the Moscow-led Eurasian Economic Union, joining Tajikistan in potential candidacy. Considering the extent to which both states rely on remittances from migrant laborers in Russia — and the restrictions imposed on migrant labor by the EEU — joining Kazakhstan, Kyrgyzstan, Belarus, and Armenia in the economic bloc would, arguably, make a certain bit of sense. Moreover, unlike Karimov, Mirziyoyev doesn’t appear to have ever dismissed the EEU outright — one more reason that the “most likely benefactor of the current situation [in Uzbekistan] is Russia,” as Dmitriy Nurullayev recently argued in The Diplomat.Enjoying this article? Click here to subscribe for full access. Just $5 a month. The undersigned individuals have all worked or lived in the Middle East, as scholars, academics, journalists, or members of non-governmental organizations. We are American citizens. Our work is a testimony to our deep appreciation for the rich history, culture, and politics of the modern Middle East. We believe in the need to study the governments and peoples of this pivotal region and their complex relations with the United States objectively and unapologetically. Many of us have spent most of our careers trying to foster better understanding between the two worlds in which we live and work. This is why we find the recent case of Henri J. Barkey, an American scholar of modern Turkey, particularly alarming. Turkish media outlets have alleged that Barkey, who is the director of the Middle East Program at the Woodrow Wilson International Center for Scholars, worked with the CIA in launching the plot to overthrow the Turkish government by force. The failed coup was a shocking, traumatic, and violent event that took the lives of 240 Turks. The authorities in Ankara have the responsibility to bring those involved in the plot to justice. At the time of the coup, Barkey was leading an academic seminar in Istanbul. In the aftermath, the pro-government media singled him out as a foreign bogeyman. His picture was splashed across the front pages of Turkey’s newspapers along with banner headlines alleging a connection between Barkey, the CIA, and the failed coup. The slander and outrageous charges grew more ominous with each passing day, in a clear and dangerous campaign of incitement that led to direct threats against Barkey’s life. No member of the Turkish media has been held accountable for these lies. Of course, Turkey is not the only such wrongdoer in the region. Both Iran and Egypt also come to mind. Nine years ago, Haleh Esfandiari, an American scholar and Barkey’s predecessor at the Wilson Center was arrested in Tehran and placed in solitary confinement in Evin Prison for 105 days. Esfandiari, who was in her late 60s when she was arrested, is a dual citizen of the United States and Iran. The Iranian government accused her — along with two other academics with dual American and Iranian nationality — of attempting to stage a “soft revolution” by organizing and participating in seminars and conferences. Although Barkey was able to leave Turkey shortly after the coup, he fears a fate similar to Esfandiari’s should he return to the country of his birth. The Turkish government made the decision to intervene directly in the Syrian conflict, sending tanks and a mechanized infantry battalion across the border into Jarablus and the Ar Rai. The first phase began while U.S. Vice President Joe Biden was in Ankara for a visit. The Turkish military is fighting alongside rebels hailing from various factions, first, to clear Islamic State from the border; second, to prevent the Syrian Kurds from taking more territory west of Manbij; and, third, to hold territory taken. This combined force has succeeded in the first and second goals, is preparing for the third, and now there are is talk of a fourth goal: a push further south to take the city of Al Bab from the Islamic State. The forces deployed are small in number and were adequate for retaking territory from the Islamic State (ISIL) along the Turkish-Syrian border. To push to Al Bab, Turkey would have to increase the number of ground forces to offset the weaknesses of the Arab and Turkmen militias fighting in the area. The Turkish military has taken advantage of favorable terrain to advance quickly along the border, taking sparsely populated territory ISIL appears to have retreated from. A fight for Al Bab, an urban area with a pre-war population of 130,000,would be more difficult (Estimates on the current population vary between 20,000 and 60,000). ISIL has reportedly withdrawn to the city from the border areas. The city’s urban terrain would offer a challenge for advancing armor and mechanized infantry, negating the advantages Turkey relied on for operations along the border. ISIL has been degraded after more than a year of U.S.-led bombing. The group is currently fighting a two and a half-front war in Syria with the northern border of its territorial area coming under sustained assault from the Kurdish YPG, the most dominant militia in the Syrian Democratic Forces (SDF). On this front, the United States is using the so-called light footprint model, wherein it embeds special operations forces with local elements, in this case the SDF, and leverages American airpower to take territory. Turkey has lent support to this campaign, despite its deep misgivings about the heavy participation of the YPG, which is the Syrian branch of the Kurdistan Workers’ Party (PKK), an insurgent group currently fighting Turkish military forces in Turkey’s southeast. 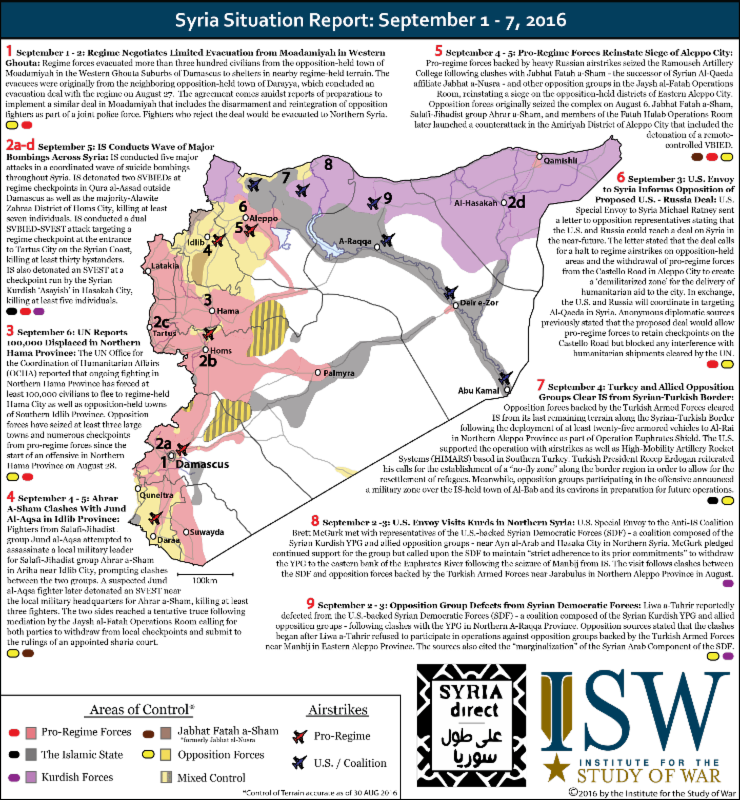 The graphic depicts significant recent developments in the Syrian Civil War. The control of terrain represented on the graphic is accurate as of August 30, 2016. Google is said to be on the verge of a breakthrough/leap-ahead in the computer age as it is reportedly on the verge of unveiling the quantum computer. Ryan O’Hare wrote in the September 1, 2016 edition of The Daily Mail Online, citing an article in The New Scientist, that “researchers at Google may announce a breakthrough as soon as next year (2017), potentially reaching what the company terms ‘quantum supremacy,’ [well] before anyone expected.’ “Quantum supremacy is the term the company uses for its plans to build the first quantum computer — capable of performing calculations out of reach of [today’s] classical computers,” Mr. O’Hare wrote. According to The New Scientist, “using existing classical supercomputers to simulate a 6×4 grid of quantum bits (24 qubits) needs 268 MB of memory; but, upping the size to a 6×7 grid (42 qubits) takes an enormous 70 terabytes.” “Google engineers reported their plans to hit this 42 qubit benchmark in a recent paper this month,” (see attachment) Mr. O’Hare noted. “Moving much beyond this barrier becomes unworkable for modern, classical computers — due to the enormous amounts of memory required. The theory remains a long way the practice, with the technology firm [Google] only publicly confirming it has achieved a 9-qubit machine. Google has also worked with Canadian quantum computing firm D-Wave, to push the boundaries of quantum computing, working with NASA’s Ames Research Center,” Mr. O’Hare wrote. googlequantumpaper “If the [Google] team can push this [current effort] to a working machine, using a grid of just 50 qubits, it will have created a machine able to beat the best supercomputers which exist today; and, achieve quantum supremacy,” according to Mr. O’Hare. There was that time he caught the U.S. National Security Agency delving into computers at the Elysée Palace, residence of the French president, for example. And flew to Washington to tell them they’d been found out. Or when the Canadians said they – and the Iranians, the Spaniards, the Algerians and a few others – had all been hacked by a Frenchman, and they were totally right, although the French government denied it. The discussion on June 2 was recorded – from the front row, so he must surely have been aware – and found its way onto YouTube later that month. There it lay, largely unremarked, until last weekend when a reporter for French newspaper Le Monde found it and published transcripts of large parts of it. Almost immediately, the original video was taken down. Another has appeared, although the sound has been doctored, purportedly to improve the audio quality.Barbier’s revelations can’t really be called a scoop, as the Canadian and Elysée hacks had been widely reported. They have, however, never been officially confirmed. Until he left to join IT consulting firm Sogeti in 2013, Barbier was head of the signals intelligence division of the French Directorate-General of External Security (DGSE), a post he had occupied since 2006. During that time, he was responsible for transforming the DGSE’s spying activities into a tool for mass surveillance. Before that, he had alternated between roles at the French Commission for Atomic Energy and Alternative Energies (CEA) and other posts at the DGSE. WASHINGTON — Two North Carolina men were arrested on Thursday in the hacking of the personal email accounts of the director of the Central Intelligence Agency and other senior officials. The men — Andrew Boggs, 22, of North Wilkesboro, and Justin Liverman, 24, of Morehead City — were accused of working with a prolific hacking group called Crackas With Attitude. Prosecutors said the group had targeted American officials, their families and United States computer systems from October 2015 to February 2016. The F.B.I. said that members of the group had tricked people into providing information that had allowed them to gain access to the victims’ accounts, a technique known as social engineering. At least three teenage members of the group lived in Britain, the authorities said. Earlier this year, the authorities there said they had arrested the group’s suspected ringleader, a 17-year-old known as Cracka. In one instance, Cracka impersonated a Verizon employee to gain access to the Verizon account of the director of the C.I.A., John O. Brennan, the F.B.I. said. Personal information that Cracka obtained about Mr. Brennan from Verizon allowed him to subsequently change the password to Mr. Brennan’s private AOL email account. 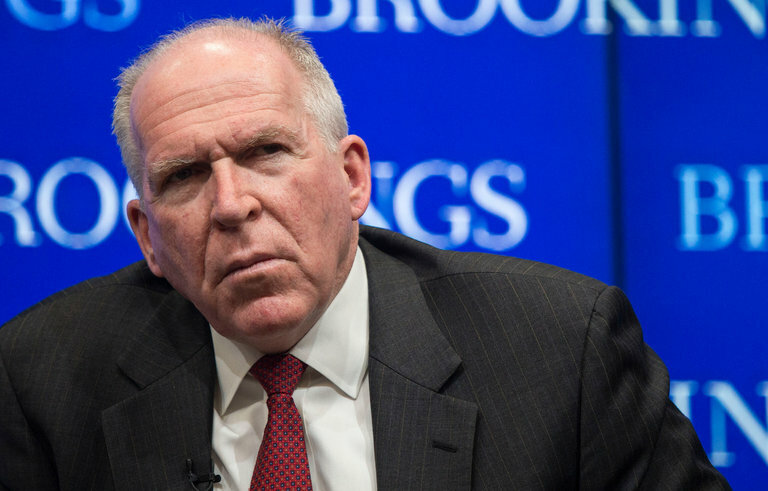 One of the files stolen from Mr. Brennan included his application for a security clearance, which was later made public.